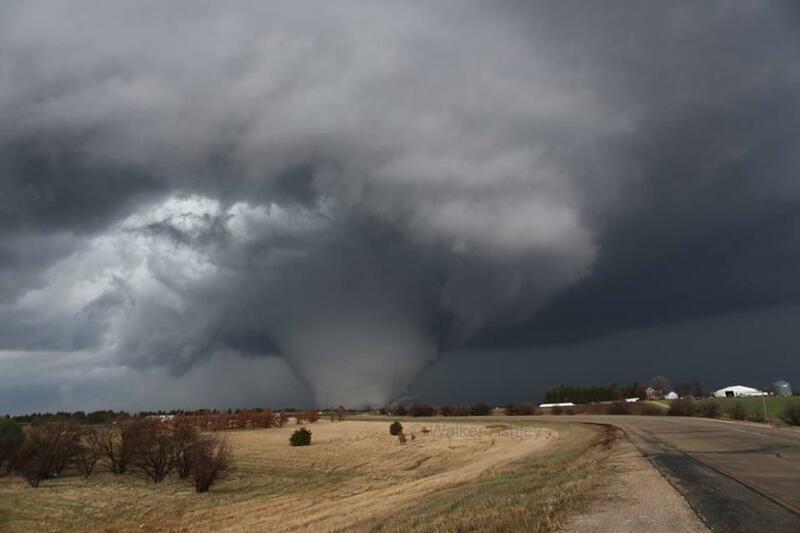 At least one very large tornado struck central Illinois today The National Weather Service has confirmed the report and is advising people to take shelter. As of this time, there are not reported injuries, but there is considerable damage. Details may be read here. 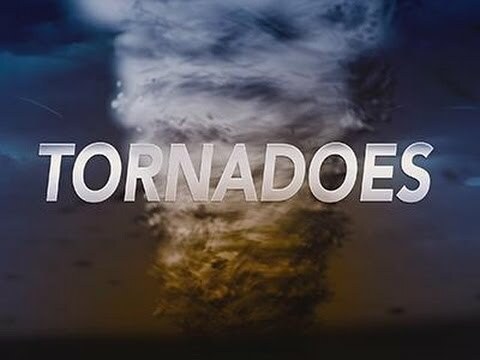 The Weather Service in Davenport, Iowa, has announced that they have received multiple reports of tornadoes in Scott and Clinton counties in the far eastern part of the state although there have been no reports of injuries. The weather has also caused the cancellation of more than 700 flights in Chicago. The Weather Channel is providing realtime updates for those that wish to stay up to date. One person has been confirmed dead but rescue crews are still combing the area. 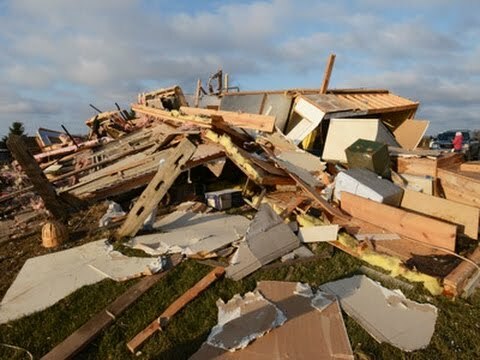 The Chicago Tribune reports that a second person has died as a result of another tornado. All 71 buildings in Fairdale sustained some damage and 17 homes were knocked off their foundations. At least 11 other people have been taken to hospital while officials report that a few residents remain unaccounted for. The National Weather Service published this photo showing the eye of the tornado. Meanwhile, The Chicago Tribune reports that the tornado packed winds of 180 to 200 mph and measured a half-mile wide. This inevitable disasters always come to my mind. It would trickling and weakening my soul. I hope there will be advance accurate weather forecast to all over the world to remind people to evacuate and bring them into safe and secure shelters for their life's safety. Houses can be built again but life of a person will never be resurrected. Residents of Fairdale have now been allowed to return home to assess the damage to their properties. The AP reports that a total of 70 buildings were detroyed or damaged in Fairdale and another 50 were hit in nearby Rochelle. All buildings have been searched although not all residents have been accounted for. Photographer Tom Purdy posted this incredible image on his Twitter page. 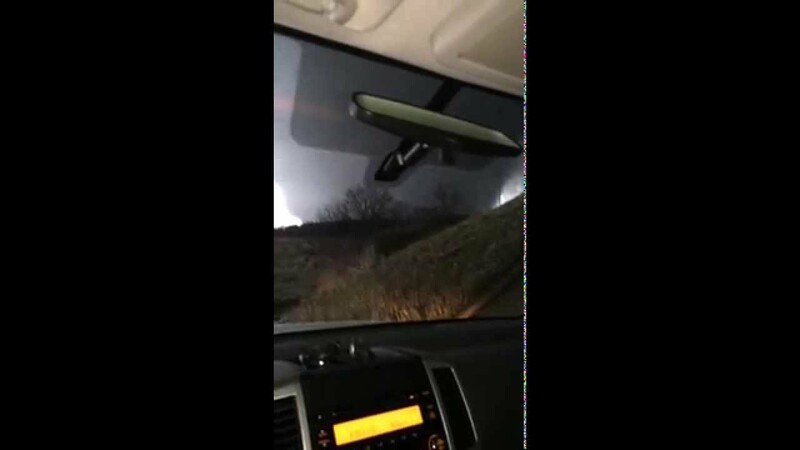 I saw this video today of a man that, instead of seeking shelter,decided to stop and shoot a video of a tornado as he drove through Illinois on his way to Indianapolis. He is very lucky to still be alive. The Chicago Tribune reports that Red Cross volunteers have been lending a helping hand to those affected by the tornado. Volunteers have been distributing shovels, buckets, rakes, and garbage bags in an effort to help with the cleanup operations. Emergency personnel have also provided clean clothing and toiletries and are making sure those whose homes have been destroyed have a place to sleep. If I had to see something like this making its way towards my home, I don't know what I would do! It is enough to terrify anyone and some people have survived several of these. I don't know how people manage to get themselves together again after their homes have been totally destroyed. Surely you can drive or run away from a tornado, by going in the opposite direction. Can it follow, what is it attracted to? This article on Accuweather provides some background information as to what you should do if you were to be caught in a tornado while driving. This Tornado Guide also suggests that "If the tornado is visible, far away, and the traffic is light, you may be able to drive out of its path by moving at right angles to the tornado." Chicago is another major city that always seem to get blasted. The Mid West in general is infamous for stormy weather, especially during spring time. That was one huge tornado.